These summer mornings with their fresh, cool air are the perfect time to water your plants, before the temperature heats up. Water in the heat of the day and you lose lots of the water through evaporation, so not good for the plants or if you’re trying to conserve resources. Water in the evening means the plants sit in the water in their least active period. Water early and they get the benefit throughout the day. This year I’ve tried to keep to a regime of watering every few days, giving them a really good soak rather than a little every day. It’s hard to resist doing it in the warmest, sunniest days when giving them a drink seems the most natural thing to do! But as long as the pots have some moisture in them, it helps strengthen their root system and ultimately is better for them. And unless it’s rained heavily and the soil is very moist (even a few centimetres down deep) the plants will still need to be watered well. So far, the plants seem to be responding well. 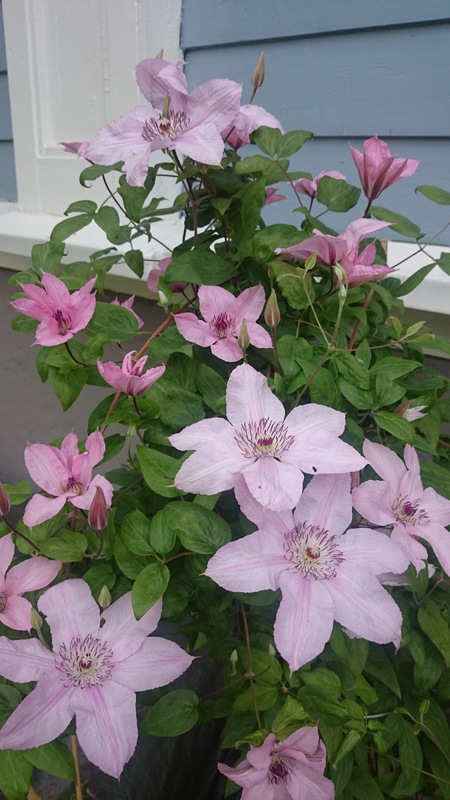 My Clematis ‘Hagley Hybrid’ is flowering profusely now, which is lovely to see. 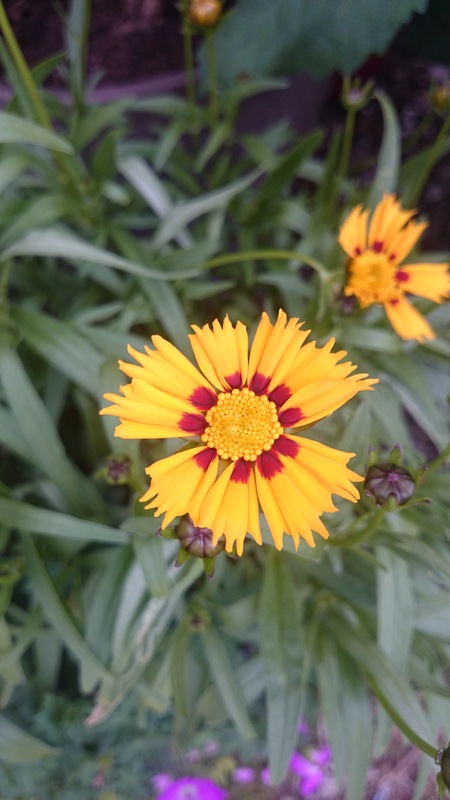 The first of the Coreopsis grandiflora ‘Sonnenkind’ flowers has just started to emerge this morning. 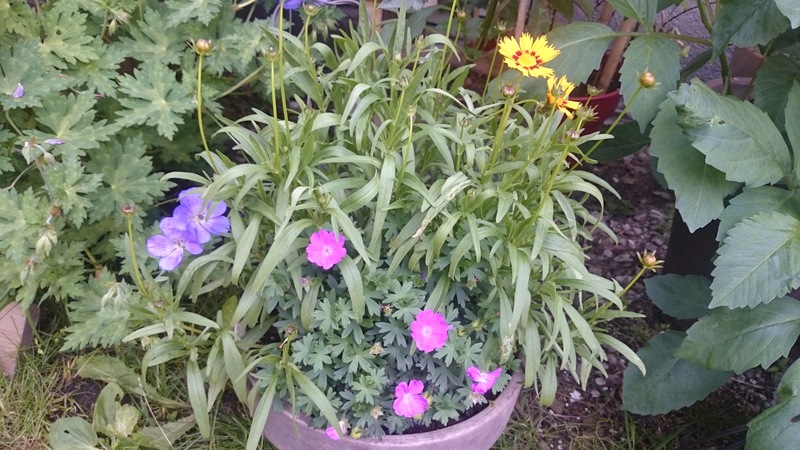 Its bright yellow flowers contrast nicely with the pink of the Geranium sanguineum ‘Max Frei’ next to it and the blue-purple of the Geranium Rozanne flopping over from the other pot. Right, I’m off to give them all a thorough soaking! Categories: Gardening in Oslo | Tags: Clematis, Coreopsis, Geranium, watering | Permalink.